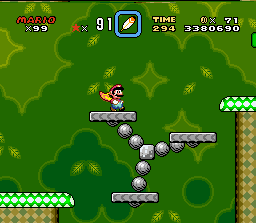 I want to move an object around a circular track, just like these platforms in mario. Hello. In 3D, you can use the "Rotating Movement" in "add component" in the blueprint. You put the mesh away from the povô, and put the speed on the axis you want to rotate. The object will spin around the pivot. Do not work with 2D, I do not know if it works. I believe so. Why can't my blueprint object move further than 175 units? Moving and climbing on objects ? How to move objects without knowing where will moving end? Can I attach a BP to a model in the level and then detach via BP?